Argie Bargey – Malignaggi-Chaves Negotiations Fail, Scuppering Abu Dhabi Flagship Event. 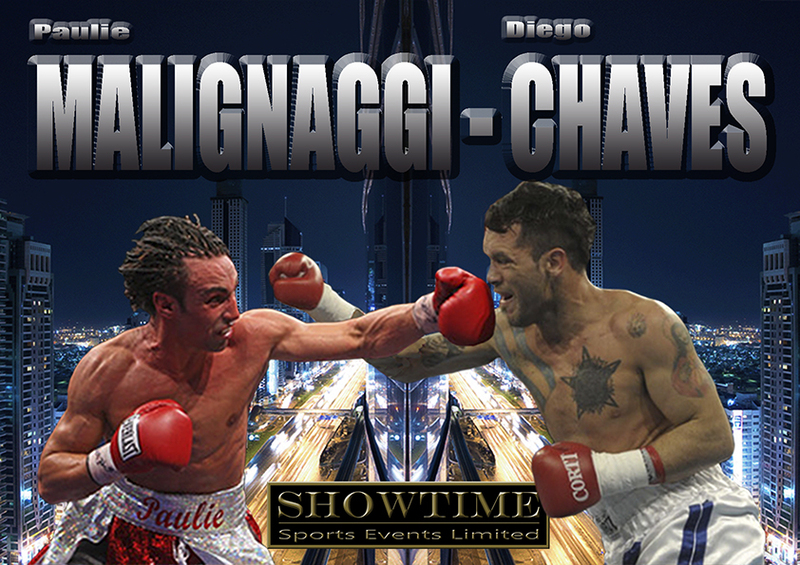 Showtime Sports Events (SSE) today announced that all negotiations for WBA Welterweight World Champion Paulie Malignaggi to defend his crown against interim Champion, Argentina’s Diego Chaves, at their inaugural event at Zayed Sports City, in Abu Dhabi, United Arab Emirates on May 18thhave been terminated. The Showtime team first entered negotiations with Malignaggi on the 23rd January, with the intention that Brooklyn, USA based Malignaggi facing WBF Welterweight King, Tijuana, Mexico’s Humberto Soto, however the following day the WBA ordered Malignaggi to face mandatory challenger Chaves. After some nifty negotiations by Malignaggi’s lawyer, Steven Bash, the SSE team agreed to a switch of opponent and immediately made a substantial offer to Diego Chaves’ management. However, whilst Malignaggi was firmly on board in January, it was not until the 14th February, some three days after the deadline set by SSE for acceptance of the offer, that the Argentinian’s promoter, Osvaldo Rivero, actually began negotiations. With the clock ticking, SSE’s matchmaker, Olaf Schroeder, and lawyer, Tony Wyatt, set to work in an attempt to secure Chaves’ signature. With no further correspondence being received from Mr. Rivero by February 21st, just a few short days before both the WBA and proposed PPV provider’s deadline of February 24th, Showtime Sports Events Managing Director, Gianluca Di Caro intervened, by personally writing to Mr. Rivero. Neither Mr. Rivero or the Argentinian’s camp responded, leaving no viable option but for SSE to terminate all discussions, regarding Chaves, and focus on other options available. With the news breaking earlier today, that the WBA have now called for purse bids on March 11th for Malignaggi-Chaves, these options seem rather limited. “As much as we tried to get the Malignaggi-Chaves fight on, it seems this is now a non-starter. It’s a month since we had Paulie Malignaggi agree to the fight, but for some reason Chaves’ people have decided they don’t want the fight on our show, even though the offer we made is much higher than Chaves has had for his previous fights. It’s so disappointing, Chaves is the #1 contender to challenge for Paulie Malignaggi’s WBA title. The WBA were happy for us to put it on, Golden Boy were happy for us to put it on, but it seems someone, probably not Chaves but someone in his camp, was holding out for more money because it’s in Abu Dhabi. Either that or they had no intention of signing and were holding out for the WBA to order purse bids, so they can have the fight on home turf. Either way, so it goes, they didn’t sign by yesterday and now we’re going to have to look elsewhere, hopefully though with Paulie Malignaggi still top of the bill, possibly against WBF World Champion Humberto Soto.